KGM, a notable North American manufacturer and supplier and Alfastreet Gaming, the Slovenian company known for its creation of multi-player electronic game instruments, have announced a partnership. This exclusive partnership was officially announced when both the companies were showing off their latest offerings at the Global Gaming Expo 2014 held in Las Vegas. This agreement results in making KGM an exclusive American distributor of electronic table games manufactured by Alfastreet. The present games collection includes baccarat, roulette, blackjack, poker, craps, big-six and sic-bo. The two companies are excited and also announced their commitment to unifying their efforts to bring custom tailored game products to American markets. They also reiterated the commitment to measure up to the high standards which both the partners are known for in gaming industry. According to Jason Cohen, KGM’s Executive Vice President, his company regards electronic table games to be a very important product. They have selected to partner Alfastreet due to the Slovenian company’s higher product standards and also for their forward thinking technology. This mindset aligns with the commitment of KGM to continually progress and also enhance the gaming industry. KGM is the preferred supplier and manufacturer of casino professionals across the Canadian, United States and Caribbean region. The numerous divisions of KGM supply excellent quality slot bases, graphics and signage packages, gaming machines and custom-designed seating from Answorth Technologies. The KGM headquarter are situated at Philadelphia, PA. It also has a satellite office located in Pleasantville, New Jersey. The Slovenian company is the uncontested leader in the production of high profile electronic gaming with specialization in multi-player environments. The Pockaj doo owns the Alfastreet brand and the parent company is a private limited one. Alfastreet products are synonymous with premium quality and technologically superior gaming instruments. Why is Baccarat Such a Big Earner? 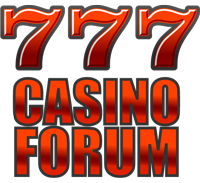 Sep 1 14 under Games | Comments Off on Why is Baccarat Such a Big Earner? Experts are often confused by the amount of money made by casinos through baccarat. The game has a decent following, but it is by no means a major table game. It is a very basic game, and does not have any of the logical or intellectual elements found in poker. There are no major jackpots like the lottery, keno or slot machines, and it is a lot less exciting than the craps table. However, baccarat still manages to grab players’ attention. How is baccarat played? The game is incredibly simple. Betters have two options when placing their money: “player” or “banker”. Whichever side gets the better hand wins. Despite the basic nature of this game, Las Vegas casinos make A LOT of money through baccarat. For example, 2011 figures show that Vegas casinos got over $1 billion from baccarat players. This equals the money made from blackjack players, while it dwarfs the $500 million made from craps and roulette combined. This means that Vegas casinos make as much from baccarat as they do from blackjack. When you consider that blackjack has over 3,000 tables in Nevada, compared to the 300 tables of baccarat, the equal earnings are remarkable. There is a decent house edge in baccarat, which ensures the casino will always come out on top. However, the range of success can vary from month to month. Some months will be great, while others will see the casino barely breaking even on baccarat. A major reason for the earning potential of baccarat is its allure to high rollers. These extremely rich gamblers will always go towards the baccarat table before leaving a casino. They bet huge sums of money on single hands. Even if one or two high rollers win a lot, most of them will end up losing sizable chunks to the casino. This ensures the profitability of baccarat. It may not be a game for the masses, but those who do play will bet a lot of money. Roulette and Blackjack are two of the most popular games in casinos everywhere. 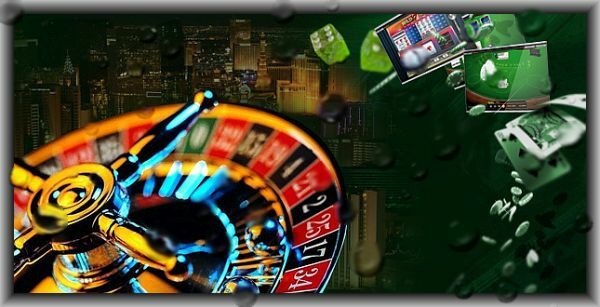 Easy to learn and fun to wager and play, the two table games manage to make it easier for even novices to enjoy casino visits. The name is a derivative of the word wheel, and aptly so. A roulette wheel consists of numbers in black or red. The bets can be placed for a specific number or whether the number is odd or even or whether it would be red or black. When the wheel is spun around and ball is dropped into it in the opposite direction and when the ball stops, the number where it stops becomes the winning number. The game of roulette originated in France in the late 18th century. From there, it came to the US shores and quickly became popular. As the casinos developed around the world, roulette became one of the main draws for visitors. People enjoy roulette, whether in a small casino or large. Blackjack is popular because it is fun and exciting and also because here players play against the dealer and not each other. It seems somehow the notion of beating the house in any casino is intensive enough for people to throng the blackjack tables. It is also known as 21, as the game is all about this number. The cards are given values and the objective is to get 21 or less to beat the dealer. The total number should be less than 21, but still higher than what the dealer gets. The history of blackjack is not clear; most likely it originated in some variation of the present-day blackjack somewhere in Spain and then spread to other parts of the world. Now, several variations of the game exist and casinos often have blackjack tournaments for the general public. How Does Craps Table Work? Jul 7 14 under Games | Comments Off on How Does Craps Table Work? 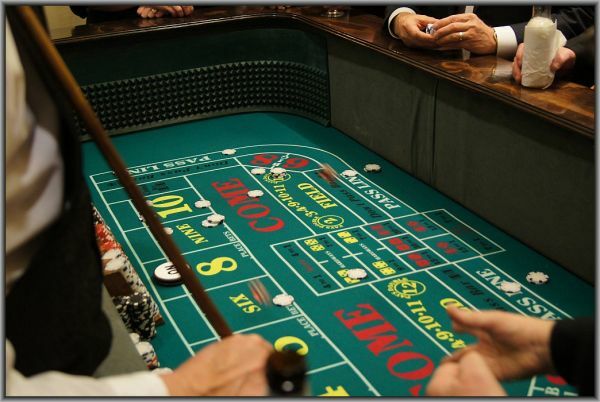 Craps is one of the most exciting and loud games that you can expect to play at a casino. For this reason, it is vital that you have a good understanding of the table before playing. The last thing you want is to go to a craps table with no idea about how you are going to bet. Here is an explanation of the craps table. The craps table can look complicated, but it is fairly self-explanatory when you get a hang for the game. We start with the pass line. This is where players place their chips for the simplest craps bet. There are two ways to win a “pass line” bet. The first way is for the player to throw the numbers seven or eleven immediately. If they do not manage that, they get to roll again until they get the same number. For example, if a player rolls a three and a four, he wins. If their first rolled number is eight, they keep rolling until the rolled number is either a seven or eight. If it is seven, the pass line loses. If it is eight, the pass line wins. Players may place a bet on the house to win the pass bet over the player. Betting on this means you are betting on the pass line bet to lose. It is rare for a player to use this option, because craps etiquette entails that everyone wins or loses together on the Pass Line bet. The 2-3-4-9-10-11-12 Field allows players to bet on the next roll being of that number. A 2 and a 12 pays double. For example, if the next player throws a seven and five, everyone who put their chips on that field will win double. The come bet is another version of the pass bet, and it is typically made after the first point has been established. Players can also put their chips on one of the numbers at the top of the table. These are place bets, where you are betting that one of those numbers will be rolled before a seven. Poker Hall of Fame ’14 – Who’s Your Favourite? May 16 14 under Games | Comments Off on Poker Hall of Fame ’14 – Who’s Your Favourite? Want your favourite poker player to get a place in the Hall of Fame? The World Series of Poker Hall of Fame nominations for 2014 are in progress, and poker fans in the US and around the world can simply login to the official WSOP website to nominate their favourite players. The voting process for the nominations will take place through August 15. If you want your poker stars to have a chance at fame, better hurry and nominate them before time runs out. The Poker Hall of Fame inductees will not be determined by the public alone. The WSOP conducts the survey to get an idea about who has a chance to get inducted into the prestigious list. The place for legendary poker players, the Hall of Fame is where the WSOP will place the deserving candidates and legends in the making, with a little help from the public. At present, there are a total of 46 players in the WSOP list. After the list of nominees is received from the public, the WSOP will forward it to the Nomination Committee, which will review the nominees and select eligible candidates for the induction. The final nominees list for the 2014 Poker Hall of Fame will be released by the committee in September 2014. This will be followed by ranking of the nominees by the existing 21 Hall of Fame members. Two finalists with the maximum number of votes will be inducted into the Hall of Fame at the WSOP Final Table Main event in November. Non-players who have contributed significantly for the overall development of the game in the country and the world through managerial roles, administration, organization, innovation or other activities can also be nominated. Online casino games are among the easiest to play, as they are designed to be user-friendly. The simpler the game, the more the chances are that people will play them. Slots, blackjack and baccarat are among the simplest of games that most people enjoy. Roulette is also easy if you understand the betting terms and table. 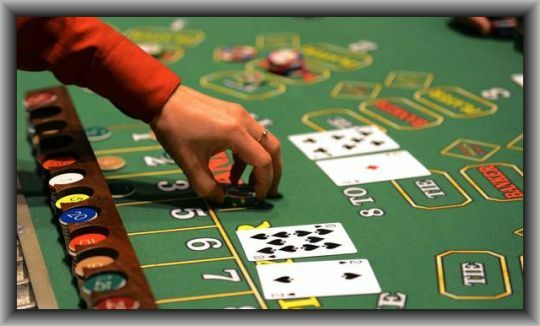 Craps, on the other hand, is one game that may seem really simple – all you have to do is select a number and throw the dice, but is that all? If yes, why are many people finding it hard to connect with the game? Anyone watching a craps game in progress may think that there is no other casino game as simple as craps, in which all that the player does is throw the dice. Many people get deceived with the concept, for there is more to craps than just throwing of dice. A player throws dice after placing a bet on the craps table. Now the kind of bet you choose will determine how good or bad your chances are of winning the throw. Players also need to know and understand how craps works. So you see, a game of craps, whether it is played online or at a land-based casino, is not that simple. Online or offline craps may seem complicated only as long as you don’t understand the game. Once you learn the game, it is as simple as a slot machine game. Learning alone won’t make you a master of the interesting game, which offers good odds for the players. You need to practice it to get a grip on the rules and betting strategies. Once you do, connecting with this game, either at an online or at a brick-and-mortar casino, will never be a problem again. Casino UK is proud to announce its launch of The Dark Knight Rises™ video slot machine by Microgaming. Based on the blockbuster movie by Warner Brothers, Dark Knight Rises delivers an audio-visual experience on the leading edge of computer gaming. Casino UK is a premier UK-based online casino. The casino is one of the Microgaming casinos, and it boasts a game library that includes more than 600 unique game play experiences. Casino UK also has a phenomenal reputation for safety, security, integrity and its dedication to client service. Batman is a superhero that appears in the comic books published by DC. Some might argue whether or not he’s truly a hero, and therein lies the allure of a character often known as the Dark Knight. The Dark Knight Rises, a film by Christopher Nolan starring Christian Bale, is perhaps the greatest example of that dichotomy but also the inspiration for a video slots game unlike any other. The Dark Knight Rises is a physical slot machine that was introduced at brick-and-mortar casinos in cities like Las Vegas and London to celebrate the release of the movie. 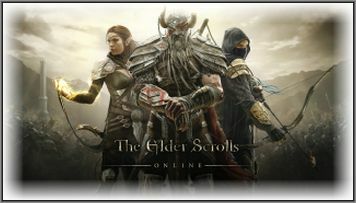 The online version is a faithful recreation of that game, but it also has some additional features that make the game even more lucrative. 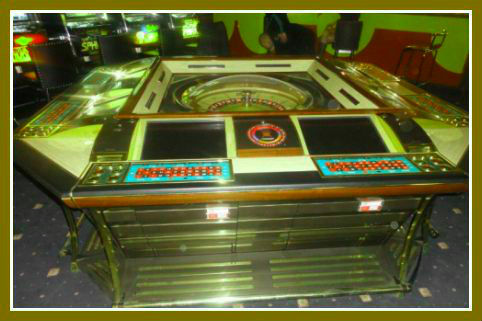 Unlike a standard slots experience, DKR has multiple zones, including five-reel and three-real sections, and features like Cinematic Spins, which help immerse the player in the action. Although The Dark Knight Rises has many entertaining features, one stands above all others: the Batman and Bane Fight Mode. In this randomly triggered second-screen bonus, the player takes control of Batman and battles Bane in an effort to save Gotham and win free spins and win multipliers. Anyone who is a fan of Batman or slot machines should take this game out for a spin. There has never been a video slot game quite like this, and Casino UK is the best place to play it because of its rich bonuses and its dedication to customer service.